In the churchyard of St Wilfrid’s in Northenden are two graves. They are the last resting places of a forgotten father and son, who helped to change Manchester and Britain – and in the son’s case, the world: Absalom and Edward Watkin. Where do you start with Edward, one of the most intriguing characters in 19th century Britain? Knighted at 39 he was an MP for thirty years (four of them for Stockport, Richard Cobden’s old seat). He created a railway to London from a station a few hundred yards from where we are today. He started to dig a Channel Tunnel and had reached two miles before the government, panicking that the French army might invade England through a hole in the ground, stopped him. He began to build an Eiffel Tower in London but the money ran out. The site became Wembley Stadium and the foundations of his tower are still under the present pitch. He created the biggest fishing port in the world, Grimsby, and a holiday resort next to it, Cleethorpes. He played a vital part in the negotiations that led to the birth of Canada. When he died over 100 obituaries about him appeared in newspapers throughout the world. Edward’s later, in the end rather sad life, is not my subject today but in his early years he played an important part in the building up of Manchester’s reputation for reform. I shall return to this in the second half of my talk. Unlike his world-famous son, though, the public life of Absalom Watkin centred entirely on Manchester, the town he came to from London in 1800 to work with his Uncle John. Manchester was still largely rural, not yet the marvellous and ghastly town it became in his lifetime. In that year an advertisement appeared in the local press for the sale of a ‘windmill, with dwelling house, and extensive grounds, and a pond in the centre’. Where the windmill used to be is now Manchester Town Hall but two hundred yards from here you will still find Windmill Street. 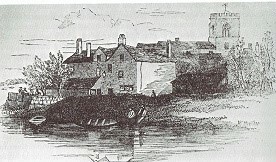 Absalom became a respected member of Manchester’s wealthy middle class with his own cotton warehouse in High Street, near to what is now the Arndale Centre. In 1832 he bought a house and farmland, Rose Hill, in a rural Cheshire backwater called Northenden. He died there in 1861. Those sentences do not begin to touch on what made this fascinating man tick. Absalom Watkin was no conventional businessman. There are nearly 300 references to him in the archives of The Manchester Guardian. They reveal one of the key figures that made Manchester the powerhouse of mid-19th century reform. The list of causes supported by Absalom show his beliefs: campaigns to limit the working hours of women and children, to provide work for the unemployed and to extend the education of the poor. He was a member of the Society for the Immediate Abolition of Slavery. An advertisement in the Manchester reform press for The Ladies Free-grown Cotton Movement listed the only eleven companies in the town that were refusing to sell cotton grown on slave plantations in America. One of them was Messrs A Watkin and Son. But financial donations and attendance at public meetings were not enough for Absalom. The conditions of the poor in Manchester revolted him. Farm workers had moved to towns like Manchester in their thousands to seek jobs in the new factories. But these were not human beings, creatures of grace. They were needed for their physical strength, not their minds. That is why the usual word for workers in the factories and the cotton mills was ‘hands’. They had left pigs in sties on the farms. Manchester had built new pig sties and the workers were the new pigs. The average age of death in the working classes was seventeen and 57% of poor children in Manchester died before reaching their fifth birthday. Absalom was a devout Christian but he was not willing to tell the poor to wait for happiness till they got to heaven. Through campaigns spanning thirty years of his public life he championed the rights of the working classes, a record made more remarkable in view of his inner demons. He was by nature shy and lacking in confidence and throughout his life he suffered from depression. He was terrified before every speech he made yet he spent his best years fighting for reform. His political activities began in February 1815 when he was one of a group of reformers who met in Manchester to discuss their opposition to the new Corn Laws. These would keep the cost of bread – the staple food of the working classes – so high that many literally starved to death. The members soon realised that they shared an interest in a wider agenda for liberal reform. At first known as The Little Circle (they have a Wikepedia entry), they went on to become the Manchester Men, the creators of the Free Trade movement, that Northern powerhouse that created Britain’s enormous wealth in the second half of the nineteenth century. 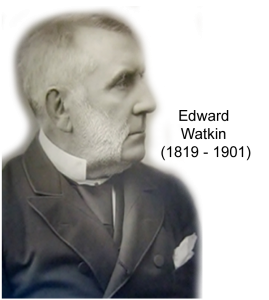 Absalom’s fellow members included Richard Potter, later reform MP for Wigan, Thomas Potter, Manchester’s first Mayor, and Manchester’s foremost radical, Archibald Prentice. In 1819 it was Absalom and Prentice who drew up the famous ‘Declaration and Protest”, the petition that drew attention to one of the iconic events of British democracy, the Peterloo Massacre. It was a skilfully written and moderate document, which attracted nearly 5000 signatures. It had no effect on the authorities but the anger led to the birth of one great champion of reform, the Manchester Guardian. (Its first editor was John Edward Taylor, a member of Absalom’s Little Circle.) Relevant to my talk, the Peterloo petition also showed Absalom’s high skill with words. Thirteen years later Manchester called on this during the next great battle for democracy, the Reform Act of 1832. Before 1832 only wealthy men had the vote. Women had no voting rights. 75% of constituencies were called “pocket boroughs”, because their MP’s were in the pockets of rich landowners. The 182,016 inhabitants of Manchester had no MP. Apart from rioting in the streets the only way political grievances could be voiced was through public meetings and formal written petitions to Parliament or the king. This is where Absalom the wordsmith came into his own. People needed someone who could put their feelings into words. Absalom drew up petitions about voting reform and reducing the working hours of women and children on behalf of the borough of Manchester or individual citizens. For many years he was in effect the voice of formal protest in Manchester. By 1831, discontent spilled into the streets and there was a serious threat of revolution. Manchester took up once more the campaign for voting reform, the cause which had led to Peterloo. The focus became the need for a new parliamentary bill. Through his work in committees, his speeches at meetings and his petitions, Absalom was in a unique position to work for the campaign. A Manchester Reform Committee was set up. The minutes show that Absalom attended more meetings of the Committee than anyone else. The Reform Act was passed three times by the House of Commons and thrown out three times by the Lords. Finally, the King – frightened of revolution (the tectonic plates were shifting on the Continent and monarchies were being overthrown) – let it be known that if the Lords blocked the bill again he would create enough new reform-minded peers to get it passed. 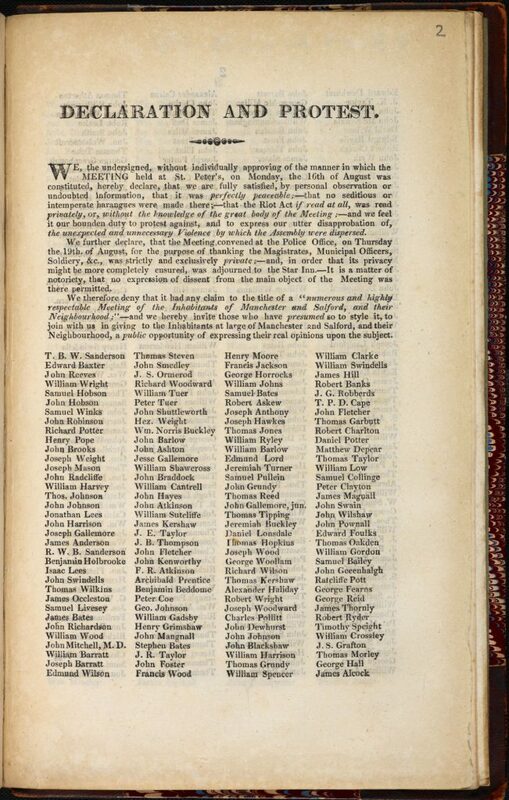 The Conservative peers abstained and the bill became law on 7 June 1834 . In 1834 the Houses of Parliament burnt down. The Queen said it was God’s punishment for passing the Act. In reality, the Act disappointed the working classes since over half the male adult population still did not have the vote. For several years their discontent lacked a rallying point. However, after a series of bad harvests which pushed the price of bread even higher, they found a focus for their agitation: the Corn Laws. Absalom’s part in the fight to repeal what soon became called the Bread Tax was his finest hour. By 1838 anger against the Laws was so strong that a nationwide Anti-Corn Law League was set up to fight for repeal. Its chairman was Richard Cobden, a master tactician and the finest orator for reform in the country. He and his fellow MP and friend John Bright made up a brilliant team in Parliament. On one occasion Cobden made a speech in the House of Commons on the Corn Laws that was so devastating that the Prime Minister, Sir Robert Peel, could not think of anything to say and left the chamber without responding. Absalom was a close friend of Cobden and Bright. Both were frequent guests at Rose Hill. Absalom had been one of the 37 original members who had formed an Anti-Corn Law Association in Manchester some years previously. 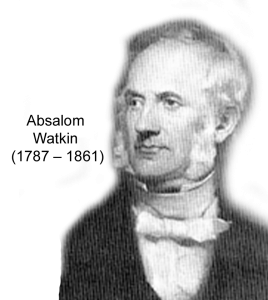 One of Cobden’s first actions as chairman of the Manchester Association was to ask Absalom to help draw up its manifesto. The League grew out of the Association and its now national headquarters were in Newell’s Buildings on the corner of Market Street and Cross Street. Absalom served on the League’s national executive committee and its governing council and became its vice-president. In 1846 the Corn Laws were repealed. In addition to that victory, the League’s campaign brought down the government, split the Tory party and led to the founding of a new reforming party, the Liberals. The Anti-Corn Law League was arguably the most effective popular movement in Britain’s political history. By the end of the fight to repeal the Corn Laws Absalom was at the peak of his political influence. With his track record and in such a favourable political climate he could have become an MP. Instead, in one of those decisions to pull back that were so typical of his lack of personal ambition and make him such a fascinating figure, he virtually retired from public life and spent the rest of his days in his farm and his gardens and his library at Rose Hill. Fame touched him just once more. 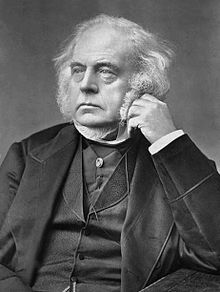 During the arguments over the Crimean War in the 1850’s a bitter exchange of letters between him and his friend John Bright reached the columns of the press in Britain and internationally. (Like Brexit the War broke up many friendships.) The quarrel upset Absalom greatly. Yet even here he was typically unsure what to think. Throughout his life he had had an ambivalent view of fame that recalls a quotation from William Wordsworth: “Looked at it and seemed to fear it, dreading, though wishing to be near it.” During the War he wrote in his diary: “All week I have been famous”. A wistful phrase. However, his health suffered from the quarrel and the publicity. On 12 January 1855 he wrote in his diary: “All day chilled, having a heavy pain at the top and on the left side of my face. I do not seem able to move readily or to turn my attention easily from one subject to another. At night I perceived that my fingers had not, on the left side, the power of contracting readily or forcibly. I could not grasp anything with the fingers of the hand, so as to hold it firmly.” It was the first of the strokes that were to lead to his death seven years later. On 28 October 1837 a meeting was held in the Theatre Royal Manchester in support of the campaign for a national education system, one of Absalom’s greatest passions. It was reported in the Manchester Guardian. ”At seven o’clock the chairman and the principal guests entered, and took their seats amid the plaudits of the assembly.” There follows a roll call of ten of the great and the good of liberal Manchester, including six MP’s elected following the 1832 Reform Act. Everybody has a note after their name to explain why they were so famous. Except one. Right at the end of the list comes Absalom Watkin. There is no note after his name. It seems somehow typical. This modest man of high principle and high ability was in the ranks of the famous, but only just. If he had been single-minded, driven by the ambition of his son, Edward, Absalom Watkin could have been a great public figure. Nonetheless, I believe his contribution to the political development of Manchester in the first half of the nineteenth century needs to be re-discovered. In a tribute published thirteen years after his father’s death, Edward captured Absalom Watkin’s enigmatic qualities with these words: “My father was a Christian, who believed in Christianizing all men, whether black or white; a man, who as a scholar was erudite; as a speaker, always able, and at times eloquent; as a politician, enlightened; but still a man who only now and again emerged into the sight and hearing of the great world. In their public characters Absalom and his oldest son could not have been more different. Contrast shy, uncertain Absalom with the dynamism of Edward, Nimble Ned as he was called, because of the speed of his thoughts and his decisive, dramatic actions. Absalom needed time to think things over. Edward relished the excitement of taking risks, although you may be surprised to learn that his private diary, which is in the Watkin Archives of Chetham’s Library, shows that as a young man he too suffered from feelings of depression and terror, amounting at times to self-loathing. Quite unlike his public image. But it is the self-confident ‘man of achievement’ Watkin that I am going to deal with now. One story typifies the public figure. 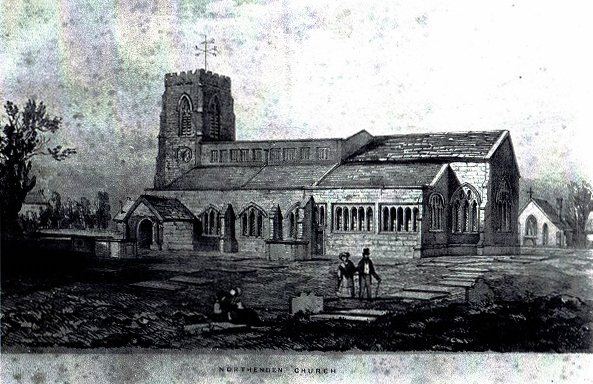 In 1874, St Wilfrid’s church in Northenden was being rebuilt. A subscription list was opened to meet the costs and Edward Watkin, who had inherited nearby Rose Hill on the death of his father, donated £500, the equivalent of £50000 in today’s money. That put him top of the list, where he liked to be, so he wasn’t best pleased when the local squire, Mr Tatton, of Wythenshawe Hall, donated £850. Watkin arranged for another donation to be made, this time in his wife’s name, of £350 – and nine pence. That cheeky two-fingered nine pence is typical of Edward Watkin. He was an Alpha Male, who did not like to be beaten and didn’t mind making enemies. In fact, in his constant search for fresh omelettes I think he rather relished breaking eggs. I have already listed some of the achievements of Edward’s later life which made him famous inside and beyond Britain. But those years of fame, when he drifted to the right politically, obscure the radical zeal of his early years. I believe these reveal someone who deserves to be described alongside his father as a forgotten Manchester reformer. I am going to focus now on two major campaigns for change where Edward Watkin played a key role. First though a brief mention of three other campaigns that underline his reform credentials. In the 1840’s Saturday was an ordinary working day with only the Sabbath available for rest and recuperation – and church. 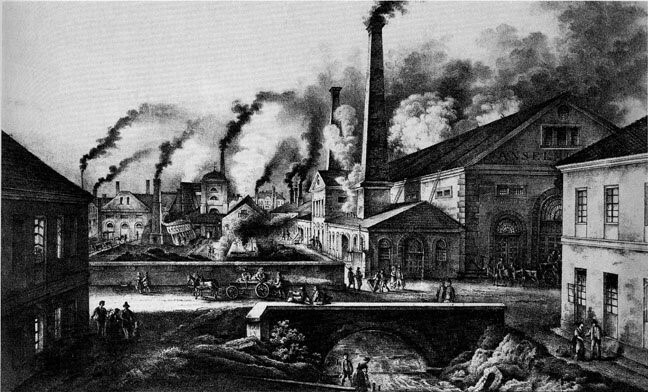 In 1843 Watkin and a group of his friends persuaded 500 employers in Manchester to close their businesses at 2pm on Saturdays, seven years before the rest of the country caught up – and Britain needed to pass a Factory Act first. In 1846 he and the great John Bright founded and wrote for a radical newspaper called The Manchester Times. In 1868, when he was the MP for Stockport, a bill came before the Commons to give the vote to working class men. Watkin was one of only 78 MP’s who tried to substitute the word ‘persons’ for the word ‘men’. In other words, to give women the vote. He was 61 years ahead of his time. But the great thrust of his reforming years was in two major battles: the fight to repeal the Corn Laws and his leadership of the campaign to create the first public parks in Manchester and Salford. Flattering words from a great man when you are not yet 20. But it was only the start. In 1838 Cobden personally selected the nineteen year-old for a special role in the Anti-Corn Law League. Worried that the League was becoming dominated by the middle classes he asked Edward to set up a branch in Manchester among operatives, ie the factory workers, and early in 1839 the Operatives’ Anti-Corn Law Association of Manchester was formed. Edward was its secretary. He quickly showed his genius for organisation. He split the town into branches, each with its own officers, and soon there were Operative Associations in Leicester, Leeds and Huddersfield. Within two years a country-wide association had been established, organised of course from Manchester. Edward, not yet twenty-two, was elected its national chairman, organising regional conferences and addressing workplace meetings. In the same year he wrote an open letter to the Prime Minister, Robert Peel, on the Corn Laws, a sign of his growing self-confidence. 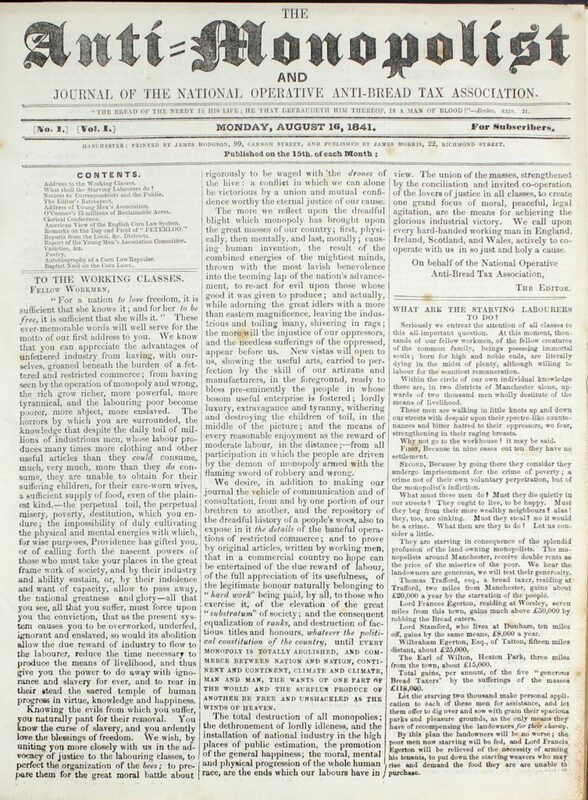 In 1841 the new association published its own newspaper, The Anti-Monopolist. (‘Monopolist’ was a term of abuse for landowners, who could sell their corn at exorbitant prices because they were protected by the Corn Laws.) Edward kept six issues in his library. They are the only copies to have survived and are now in the Chetham’s Library. They give a unique flavour of an organisation which Watkin was running on Cobden’s behalf. There are reports on meetings where Watkin took the chair, made the keynote speech or proposed motions. In one speech at what is described as “a conference of the working classes” he is reported as saying: “The people are entitled to receive compensation from the aristocracy, who have fattened themselves from their sufferings.” Cobden wrote him a personal letter of encouragement: “You and your little band are doing wonders by keeping alive the Anti-Corn Law agitation.” The two men became close friends. 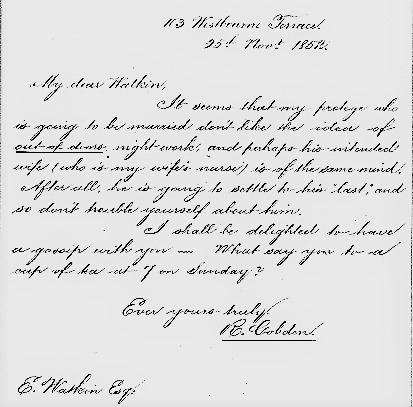 At the end of one letter Cobden wrote: “I shall be delighted to have a gossip with you. What say you to a cup of tea at 7 on Sunday?” After Cobden’s death Watkin published a reverential book called ‘Alderman Cobden of Manchester’. In August 1842 an article in The Times reported the formation of “The Manchester Complete Suffrage Union”. Its aims included votes for all men above the age of 21, constituencies of equal size, payment for MP’s and secret ballots. 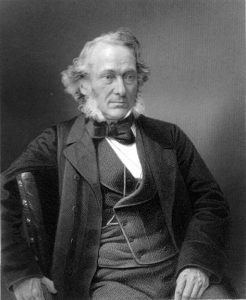 The report said that the Executive Committee contained “Chartist Agitators, Anti-Corn Law Agitators, Socialists and authors of several seditious placards recently pasted upon the walls of Manchester.” One of the Executive members listed is Edward Watkin. One year after his success with Saturday half-day closing and while the fight to repeal the Corn Laws was yet to come to its peak, Watkin started to campaign for parks for the people of Manchester and Salford. Manchester was the last of Britain’s great towns to provide open spaces for its poor. A leader in The Manchester Guardian in July 1844 said: “Manchester …. offers its toiling inhabitants nothing better than the dirt and dust of streets and highways.” It was one of a series of articles campaigning for public parks and it is clear from his diary that it was Watkin who was providing the paper with its material. At a meeting with the Mayor Watkin was appointed one of two secretaries to a new Committee on Public Parks. By September the campaign had taken off and Watkin spoke at a several public meetings. Before one he visited one of the poorest areas of Manchester. He wrote in his diary: “On Monday we went on an exploration through the older part of Manchester near the Cathedral, along Millgate and up Shude Hill. Our object was to find cul-de-sacs and bad ventilation and easily we found them. Little tumbledown houses, broken windows, squalor, dung heaps before the doors. The people looking as if they had risen out of the dung to life, like maggots. As we passed into these blind courts the old hags and young watchers came to the doors to look out in wonder at the intruders. That within five minutes’ walk of the Corn Exchange this should exist. The distance from the slum of Shude Hill to Manchester Cathedral, where hundreds worshipped on Sundays, was the same. In Victorian Britain the rich and the poor lived in parallel universes. On 11 September 1844 The Manchester Guardian carried a full page report on a “Great meeting of the working classes, last evening.” It was held in the newly built Free Trade Hall, with nearly 6000 men present and “a goodly number of ladies in the gallery.” Watkin made the main speech: “What we want is to let more daylight into our towns; to give Manchester more health-giving lungs. It is a disgrace to Manchester that it has been so long without such places. It is said that the working classes would not use these places if they had them. Our reply is: ‘Just give them the opportunity’.” He and the other secretary had already started canvassing for money to buy land (in his diary he called it ‘cadging’). Never a shrinking violet he wrote to the Prime Minister, Robert Peel, to ask for a donation. Peel gave £1000 of his own money. On 14 April 1845 Edward went to 10 Downing Street as part of a deputation asking for government support for parks in Manchester and Salford. He wrote in his diary the previous day: “I have this evening to draw up a case for our guidance.” He took the lead in the meeting. Watkin’s diary entries over the next few months show just how much time and effort he put into the campaign. But his reaction to what he had seen on that visit to the slum houses next to the Cathedral shows how much his heart was in the campaign, not just his organising head. “On Saturday we celebrated the opening of the Public Parks to the people. Although I desired to absent myself, Polly (this was his pet name for his wife, Mary) would hear of nothing but my going as she said it would be ‘something to tell our son and for our children to be proud of’. I therefore went and was ‘celebrating’ from 10 in the morning to 10 at night. We had a glorious day in every way – fine weather – good procession – plenty of people and a fine spirit of enthusiasm. It was really cheering to see the people, happy and rushing in, in one never ending long stream on the opening of the gates. I felt proud at those moments and felt that I had done something for once. (Those words are underlined by Watkin). The three parks are Watkin’s lasting legacy to Manchester and Salford, a reminder of the reforming zeal of his youth and that eagerness to take on challenges that was to make him known throughout four continents before he died on 13 April 1901 at Rose Hill and like his father began to be forgotten. Which brings me to my last point. In spite of the Town Clerk’s warm words 172 years ago there is still no public recognition of either of these two forgotten reformers in a city whose proud tradition of reform the Manchester Histories Festival is commemorating today.